Cook potatoes with little salt, turmeric powder and enough water. 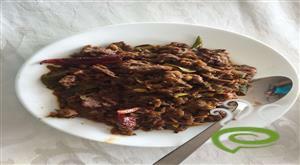 Cook beef with ginger-garlic paste and salt, till done. Heat some oil in a pan. Add green chillies, ginger and coriander leaves and fry for some time. Add the cooked beef and little pepper and saute for some time. Remove from heat and let it cool. Grind it dry in a grinder. Mix together the above ground beef mix and mashed potatoes. Add juice of a lemon to it and mix well. Make cutlets off the mixture. Dip them in beaten egg and roll in bread crumbs. Deep fry Beef Cutlet in oil. 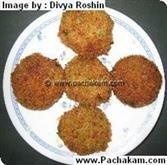 :- Beef Cutlet is ready. 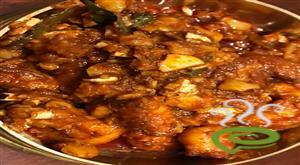 :- Server Beef Cutlet hot. Wow.. It was a wonder vanishing jumper... Really it made bumper.. I made this for a potluck party at my office today and my colleagues liked it very much. Thank you for posting this recipe! Wow Shana! What a recipe. Really yummy. Keep it up and come up with more. Came out really good...Thx for the recipe. 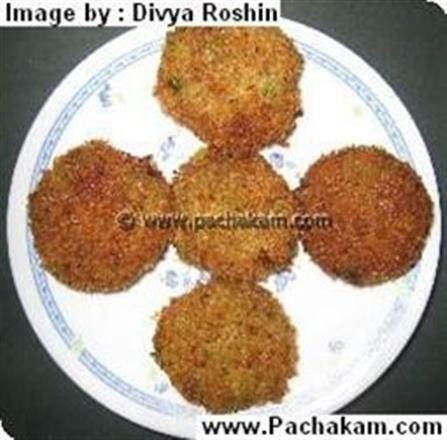 I made cutlets for the first time IN MY LIFE.. and it turned out to be superb...this recipe is wonderful ..Thanks . Thankyou very much... its really tasty.. loved it. 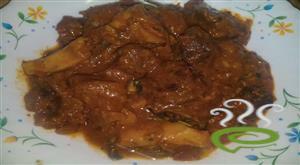 It was really yummy... thank you for sharing your recipe. Excellent this man!! !keep it up. Delicious..Yum..So good to be true! This was great...!!!! Loved it !!! This cutlet recipe was delicious. It came out very well and we couldn`t have enough. thanks. awesome recipe. we are a fan of this and make it at every possible opportunity. thanks for posting this. excellent recipe.Was the serving for 20 or 2 adults?? No worries shana.anyways keep it up.